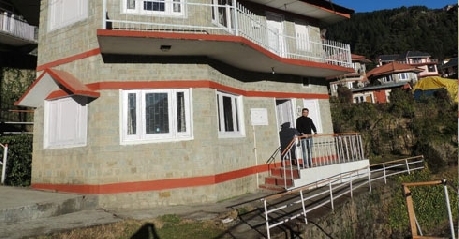 Located at Dharamkot, Dev Cottages is one of the finest budget hotels in the area offering comfortable stay options to patrons traveling to this natural oasis of beauty. The major selling point of this property is the home stay experience it offers, with its colonial styled cottages, homely food and warm hospitality. 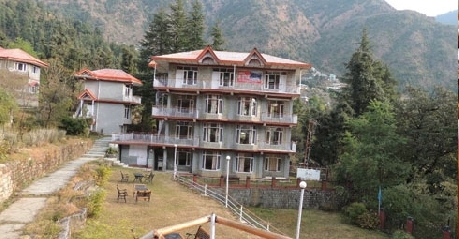 The hotel directly overlooks the might Himalayas and therefore offers guests a chance enjoy and experience its mesmerizing beauty from the comfort of their hotel room. On accommodation front, the hotel offers Standard Cottage Rooms and Deluxe Cottages Rooms; both of which are adorned with fine furnishings and all modern day comforts. In line with the overall home stay like experience, Dev Cottages has also developed a in house eatery that serves Indian, Chinese, Continental and local cuisines to cater to culinary requirements of clients. Guests can opt for either wholesome meals or gorge upon delicious snacking options available here. Apart from these, the Hotel also offers several other facilities and services that include doctor on call service, express laundry service, free parking, daily housekeeping, car rental and taxi facilities, free high speed internet through Wi-Fi and currency exchange. 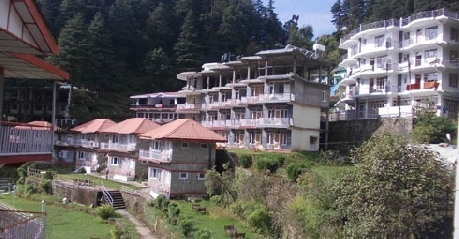 Dev Cottages also helps patrons in organizing local sightseeing trips, bonfire evening, tailor -made trekking tours, paragliding, river rafting, rock climbing, horse riding and other adventure activities. 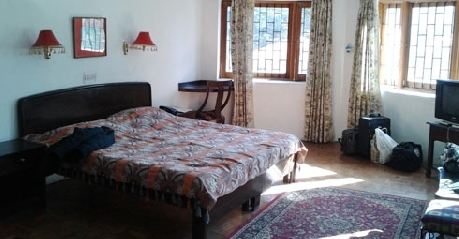 Standard Rooms are the basic accommodation choice available at Dev Cottages, Dharamshala. These are built in typical cottage style and have different areas like living area, bedding area and private bathroom, to keep things organized for guests. The rooms are very minimalistic when to décor, as the surrounding beauty enhances the overall feel and appeal of the interiors. Another stand out feature of these rooms is the private sit out balcony that directly overlooks the scenic Himalayas in all its glory. The rooms are adorned with regal wooden flooring that reminds patrons of the colonial homes. Equipped with best of modern comforts and facilities; the Standard Rooms are sure to cater to any and every requirement of clients. The amenities included in Standard Cottages include LCD television with premium channels, hot and cold running water, round the clock room service, premium bath toiletries, telephone, daily housekeeping, small kitchenette, room heaters and many others. If comfort and luxury are high on your list of priorities while picking a vacation home, then Deluxe Cottage Rooms are perfect choice for you. These rooms are designed and structured very thoughtfully in a way that they retain their old world charm and simplicity without compromising on the modern day comforts. With colonial style wooden flooring and other embellishments; the Deluxe rooms are blessed with elegant décor that is complemented by the surrounding natural beauty. The Deluxe Room also boasts of a sit out private balcony that directly over looks the majestic hills and valleys of Himalayas and makes for a perfect spot to relax, unwind and appreciate nature’s beauty. On amenities front, the Deluxe rooms come with LCD television with premium channels, hot and cold running water, round the clock room service, premium bath toiletries, telephone, daily housekeeping, small kitchenette, room heaters and many others. The stay at the hotel is always complemented by the beauty of the region along with the fantastic facilities for accommodation. 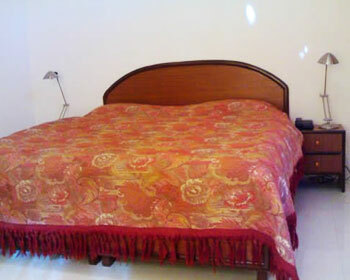 The hotel offers the facility of 12 rooms which are mostly cottages. Each of the cottages at the resort has two units with a personal balcony to enjoy the beauty of nature spread around. The units have one large double-bedroom, with attached kitchen and bath facilities. 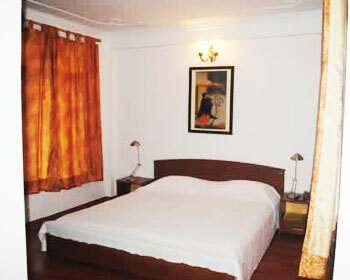 All the rooms are laced with the best of facilities making every moment in the resort a memorable one. Pamper the foodie in you by visiting the in house restaurant at Dev Cottages, Dharamshala. In line with the overall feel of the hotel, the restaurant also offers a homely food and service quality. The food is served at the dining hall, which has minimalistic décor that gives it a very elegant outlook. On the menu, patrons will find main stream North Indian dishes along with popular Chinese and Continental preparations. Local delicacies served here are a huge hit among tourists for their unique taste and aroma. Be sure to try one of these when visiting this eatery.